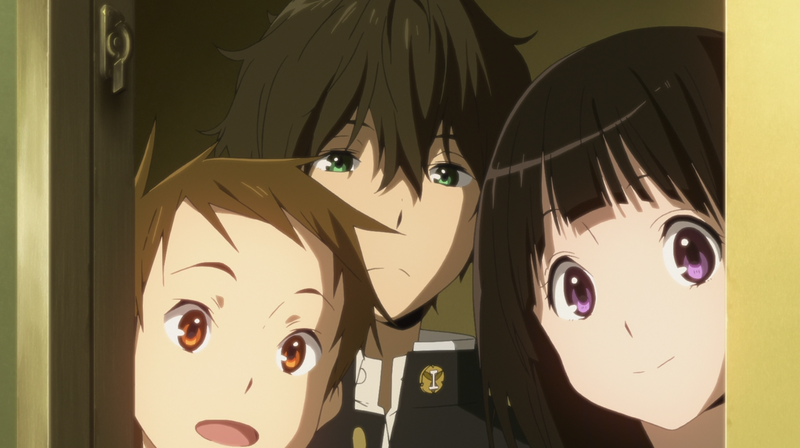 Hello, and welcome to Hyouka Saturdays! For the next twenty-one weeks, I’ll be watching and writing up an episode of Kyoto Animation’s well-loved 2012 show, Hyouka. I’ve heard many good things and been told many times that it’s a show I would like, so I’m giving it a go. “If you did find a dream, what would you do? If you had told me at the beginning of the summer season that I’d be sitting here thirteen weeks later about to write a review of Free! Eternal Summer, one I knew it would be impossible to write without talking about its themes…well, I probably wouldn’t have believed you. 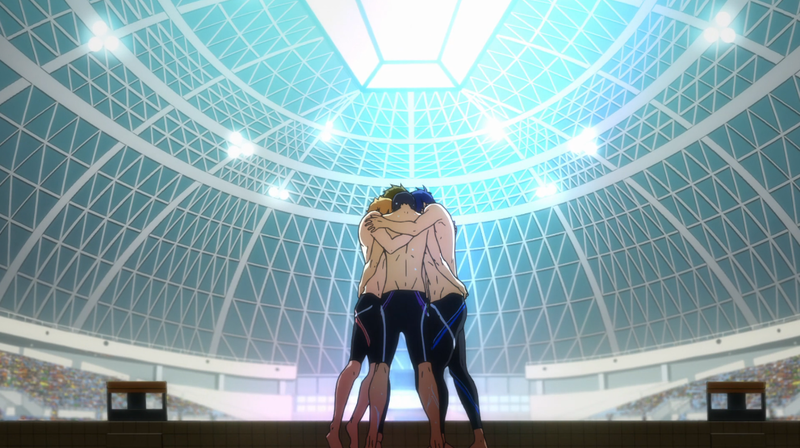 I came into this season of Free! expecting nothing less and nothing more than a slickly produced, super-shiny fanservice show featuring a bunch of muscular high school boys swimming half-naked in pools. And you know what? I was fine with that. Free! Iwatobi Swim Club, the first season of the franchise, was more than enough fun for me to want to watch the second season. But Free! Eternal Summer felt, at times, like a completely different show. So, for a noticeable improvement, for being fun, and for looking decadently pretty, I’m giving Free! Eternal Summer a 6/10 (Ranking). 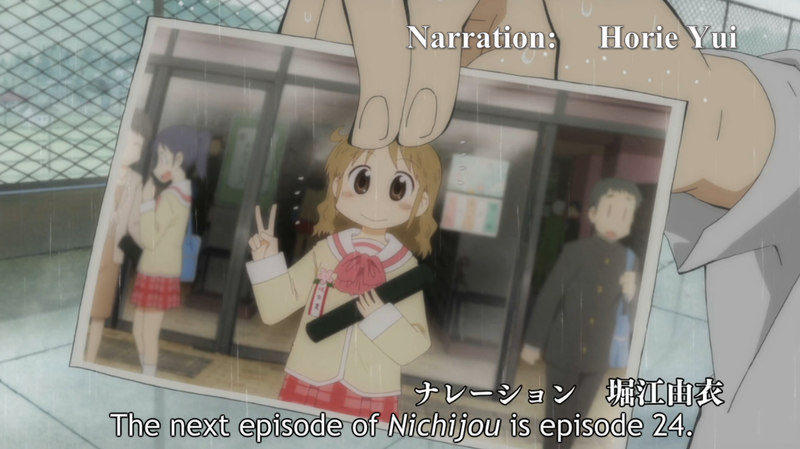 If our society’s sense of humor and willingness to be entertained has come to a point where shows like Nichijou [Kyoto Animation, 2011] can no longer be appreciated, I would say we need to reassess how seriously we take ourselves. Like J.C. Staff’s Kill Me Baby, Nichijou, based on the manga by Keiichi Arawi (teach me how you got you name in both OPs, senpai!) brings an off-kilter, random brand of wacky humor to the table. It’s occasionally hilarious, often quite dumb, and but mostly just entertaining. 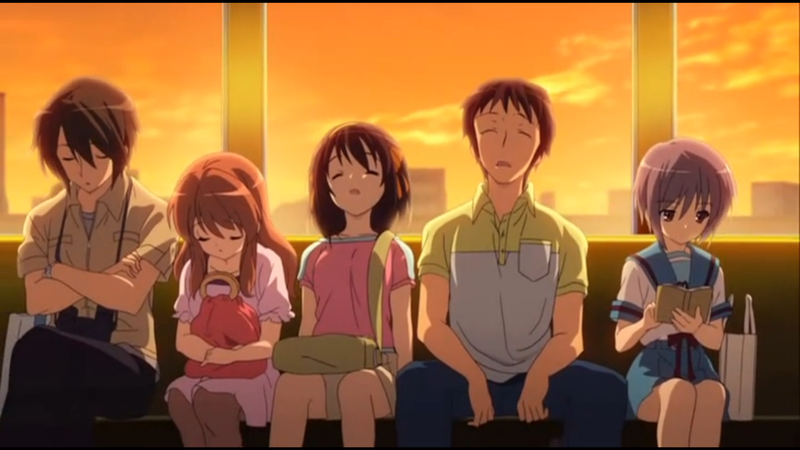 And then, there’s the animation, which alone forces my hand in pushing Nichijou to a ranking of 6/10 (Ranking). Of course, Hocchan’s narration was the best 15 seconds of the entire show. Hear me, know me, see me. So cries out Haruhi Suzumiya, through all her rampaging across the world and through all her brash confidence.